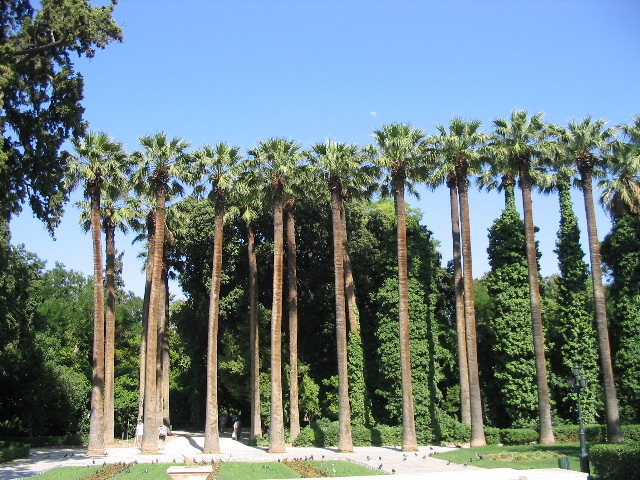 The National Gardens or Vassilikos Kipos (Royal Gardens in Greek as it was formerly known) is a peaceful, green refuge of 15.5 hectares in the center of the Greek capital. It is located directly behind the Greek Parliament building (The Old Palace) and continues to the south to the area where the Zappeion is located, across from the Panathenaiko or Kalimarmaro Olympic Stadium of the 1896 Olympic Games. The Garden also encloses some ancient ruins, tambours and Corinthian capitals of columns, mosaics. etc. On the south-east there are the busts of Capodistrias, first Governor of Greece and of the great Philhellene Eynard and on the south side the bust of the celebrated Greek poets Dionysios Solomos the author of the Greek National Hymn, and Aristotelis Valaoritis. National Gardens Designed by Amalia, the first Queen of Greece, it is an oasis in Central Athens. Henry Miller wrote in 1939 "It remains in my memory like no other park I have known. It is the quintessence of a park, the thing one feels sometimes in looking at a canvas or dreaming of a place one would like to be in and never finds." Today the National Gardens, as they were renamed after the 1974 plebescite to abolish the monarchy, are open to the public from sunrise to sunset and provide a peaceful respite from the center city. The main entrance is on Leoforos Amalias, the street named after the Queen who envisioned this park. 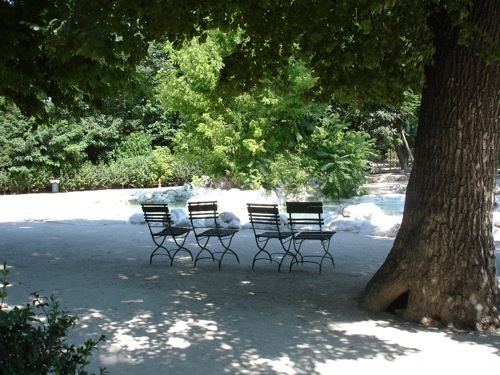 You can also enter the gardens from one of three other gates: the central one, on Vasilissis Sophias Avenue, another on Herodou Atticou Street and the third gate connects the National Garden with the Zappeion park area. In the National Garden you will find: a duck pond, a small zoo, a Botanical Museum, a small cafe, and a Children's Library and playground.